We got nice windy day. 2days low. I had having fun with Slalom gear at first day. My Gaastra mast is over. I can’t wait New sail come from Maui. Neilpryde&JP Australia distributor show up today. We had nice demo day. About 70 people come to this beach! My friend count it! 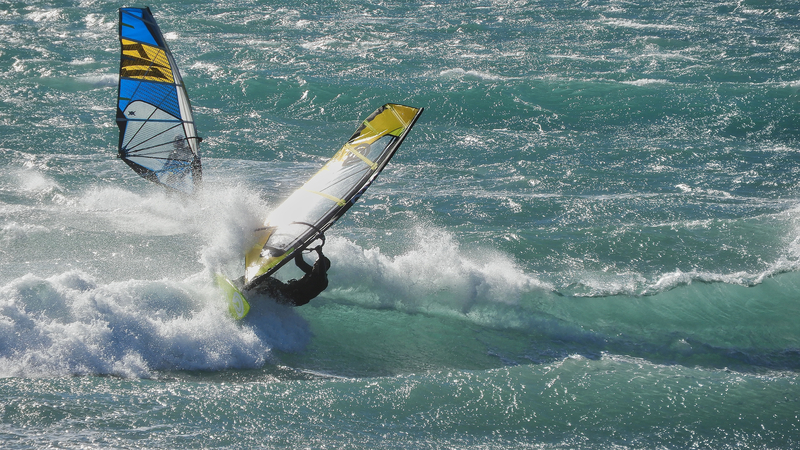 Wave and Wind, Everybody were having fun! New sails are so beautiful! It’s nice to see production sail, especially see all these prototype sail. I hope everybody like it. I miss Neilpryde sail. Jp board is nice aggressive color too. Well I can’t wait Kevin send me new sail! Well I guess summer is over here. I’m grad it’s over! The day bloody hot and no wind. I’m not sure I will be able to handle cold! Just got press release Windsurfer International Magazine! Lot of video action in Magazin! and you can do zoom in zoom out!